You are at:Home»Categories»Commentary»Six Years of War: Is Assad Still Relevant? Six Years of War: Is Assad Still Relevant? 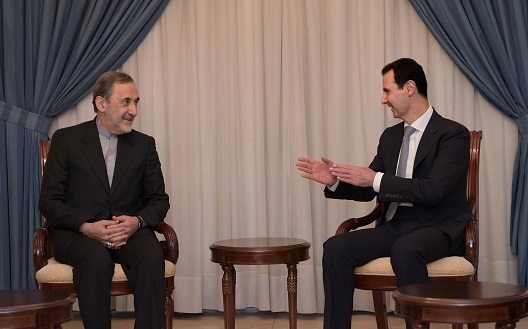 Photo: Syria’s President Bashar al-Assad meets with Ali Akbar Velayati (L), Iran’s Supreme Leader Ayatollah Ali Khamenei’s top adviser on international affairs, in this handout picture provided by SANA on May 7, 2016. Six years ago, Syrian President Bashar al-Assad betrayed his country by authorizing lethal fire on peaceful protesters. As war in Syria enters its seventh year, the price for the political preservation of one man, one family, and one entourage has been staggering, in Syria and far beyond. Observers numbed by the enormity of a humanitarian catastrophe are periodically jolted by new revelations, such as the regime bombing spree that deprived 5.5 million people in Damascus of running water: a likely war crime, per the United Nations Commission of Inquiry. Just how relevant is this murderous crew to the future of Syria? The view here is that Syria has no future if Team Assad remains positioned to do its worst. This is not to say that the regime lacks accomplices in Syria’s march to failed statehood. The Islamic State (ISIL, ISIS, Daesh) is an obscenity whose erasure is long overdue. Jabhat Fateh al-Sham – Al Qaeda’s former Nusra Front – fights Assad even as it seeks to eliminate nationalist alternatives to Syria’s main destroyer. Suicide bombers in Damascus are as contemptible as they are cowardly. But a regime that emptied its jails of violent Islamist extremists to pollute its opposition while pursuing a political survival strategy of mass homicide has been in a class of its own. Some Syrians who oppose Assad no longer expect or demand his immediate departure from Syria. They are acutely aware that Russia and Iran, for independent but compatible reasons, have saved Assad militarily and secured him diplomatically. As they survey the forces unleashed on Syrians by a regime willing to do literally anything to survive, their thoughts transcend the status of an illegitimate president and focus instead on saving Syria itself. The conclusion some of them reach is that ways must be found to dine with Syria’s principal destroyer while preventing him from eating everything and killing his fellow diners. Opposition figures in this camp are speaking with Russia. They have, as yet, no idea of how the Trump administration will approach Syria. They watched in amazement as the Obama administration accomplished a self-destructive diplomatic tour-de-force that left Syrian civilians undefended, bad actors empowered, and the United States sidelined. They, like Turkey, concluded two things: Russia in Syria is a potentially treatable illness; Iran in Syria is sure death. Both chose to work with Russia to see if the patient might be saved. For Moscow, Bashar al-Assad served an important domestic political purpose. He was the face of a ‘state’ that Russia succeeded in ‘saving’ from an alleged Barack Obama regime change campaign. In an era of ‘fake news,’ accusing Mr. Obama of trying violently to unseat Assad is particularly inventive. Indeed, it was Moscow’s sure knowledge of the oceanic gap between administration rhetoric and action that enabled it to intervene militarily without fear of negative consequences. For Tehran, Assad is more than a poster boy for a state preservation. He is the lifeline to what truly matters to the Islamic Republic: Hezbollah in Lebanon. Like Russia, Iran has no illusions about Team Assad: its corruption, incompetence, and brutality are well-known. 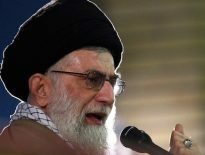 But Tehran knows something else: beyond Assad there is no Syrian appetite for subordinating the country to Iran’s Supreme Leader and to Hezbollah’s Secretary-General. Russia would love to see Assad transformed into a unifying healer capable of spearheading the country’s reconciliation and reconstruction. But it too knows its client. It knows that for Syria to survive as a unitary state, to dig out of massive destruction, and to be a useful regional platform for the projection of Russian influence, others – including many who have opposed the regime – must get on board and pull on the oars. Moscow realizes this cannot happen with Team Assad free to kill, torture, starve, and terrorize. Iran, however, has no interest in Assad’s methodology being challenged. 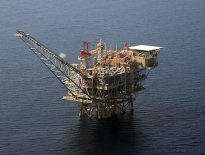 If its man rules supreme in ‘useful Syria’ – that part of the country containing the major cities, fronting on the Mediterranean Sea, and bordering Lebanon – Syria can remain a smoking pit as far as Tehran is concerned. Knowing that its client will not live forever, Iran is building Hezbollah-like militia structures to dominate what is left of Syria, as it does in Lebanon. Indeed, Iranian-led foreign fighters from as far away as Afghanistan directly challenge all attempts at a comprehensive ceasefire. Six years ago, Bashar al-Assad set in motion a process that thoroughly undermined his ability to rule Syria as he and has father had for the previous 40 years. Yet he, his family, and his entourage remain relevant. As Iran’s client, he is the main obstacle to Syria’s resurrection. Moscow knows this to be the case. Will it act? Can it act? These are questions to which patriotic, nationalistic Syrians urgently seek answers. That they do so is the inevitable result of America’s self-imposed absence. Frederic C. Hof is the director of the Atlantic Council‘s Rafik Hariri Center for the Middle East.